So…in case you didn’t notice…the theme I went with was holiday RED! This outfit is a little switcharoo from when I first wore this H&M lace skirt. Same concept, but I added tights, more red, and a little necklace that literally shines like a disco ball in the right light. Be sure to check out the other participants! The official list can be found at this post. What elegant pops of red! Very festive but still chic. Well done as usual, Kelly! I love that lace skirt…you look great! Wow, I thought this was a repost! LOL It looks really similar to your last outfit, but I can see the differences now. : ) The lace skirt looks amazing on you with the red belt and shoes! Still love your lace skirt very much. I went to H&M a few weeks ago to look for it. Couldn't find anything like it so I had to load your post on my iphone to show it to a sales lady working there. She had no clue if they had it or not. :( Oh well. I love the Jimmy Choo!!! I just love all iterations of this outfit, it's so classic and can probably be worn everywhere. I can never get sick of it. I like the sparkly necklace too! I absolutely adore your outfit :) What a nice choice for holiday wear :) It's the skirt, tights and shoe combo that made me crazy! :) Love it! Your trench!! I die. I actually love red coats but I have trouble finding one in the perfect shade. Yours looks perfect on you! lol, it was a great commercial. That lace skirt is certainly making its rounds! :) I love the red jacket and shoes as well. Haha, I remember that commercial. And I can't blame you for relating because red suits you so well. I didn't know Burberry makes jackets in such bright colors, I'll have to check them out! I absolutely adore your style. YOu nailed every outfit you posted! It's so chic,elegant and perfect for holiday! i've never seen that commercial but it sounds hilarious. i love red for the holidays and this coat really adds a glamorous touch to the outfit! and what a beautiful ruffly top! 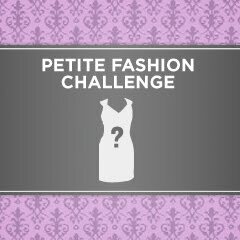 PetiteAsianGirl – I think those shoes were my first real designer shoes. They're super cute, but 4 inches, so they don't get much regular wear. Vicky – LOL. I've opened blogs on my cell phone to show to sales people before too! Sorry you didn't find the skirt! I think it sold out pretty quick. Em – Ahhh, yes, the perfect shade of red is hard to find. I have a BR short trench in what I now realize is an obnoxiously bright shade of red. I don't wear it very often. But the Burb. trench is a big muted, which makes it more wearable. Cee – Yup, every now and then they'll have a trench in a few colors. The link I posted has two shades of reds, pink, and a purple! You look gorgeous! Love seeing that trench! Yes! I remember that commercial! I love this entire look, and I think I want every single piece. lol, I totally remember that commercial! your outfit works for the holidays with the red! I kind of want to see the whole outfit underneath the jacket, it looks like it'll be really pretty. As always I always love your shoes! What a funny commercial!! Lol Beautiful outfit, I love the red accent belt and your ruffly blouse looks like such a great fit! (It's hard to tell completly since it's under the jacket, but I'm judging by where the ruffles hit you.) Very cute! So so so perfect. Love the red trench. Love the red trench, shoes, and belt. They look great with the rest of the outfit. Very festive and pretty!